A new resource, “Key to Commonly Intercepted Armored Scales,” has been released. The key covers 156 scale insects from the tribe Aspidiotini in the family Diaspididae (Hemiptera), also known as armored scales. The key’s many illustrated features enhance the identification process, and the species link to extensive information on fact sheets from the ScaleNet database. Species included are recognized as minor to major pests or as potentially emergent pests. Scientists at the USDA ARS Systematic Entomology Laboratory (SEL) developed the key, but they did not have a way to post the key to the internet. ITP reached out to offer hosting services, which led to a collaborative effort between ITP and SEL, and the publication, on March 21, of the new key. The tribe Aspidiotini includes several polyphagous and specialist pests that are commonly encountered at ports of entry to the United States and many other countries, and many of the species included are widely distributed. So although species included in the key are largely based on quarantine interceptions from the United States, the key is intended to be applicable toward an international audience. While ITP’s Scale Insects tool covers many groups of economically important scales, it lacked a key to pest species of Diaspididae. 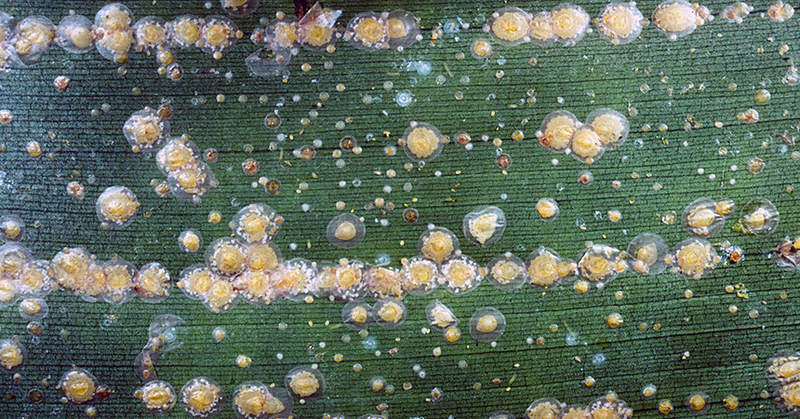 The welcome publication of Key to Commonly Intercepted Armored Scales complements ITP’s tool and expands identification support for scale insects. Key to Commonly Intercepted Armored Scales can be found at https://idtools.org/id/scales/aspidiotini/about_index.php.